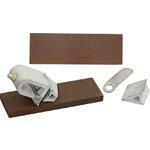 Ceramic sharpening system with plastic base and removable hand guard. 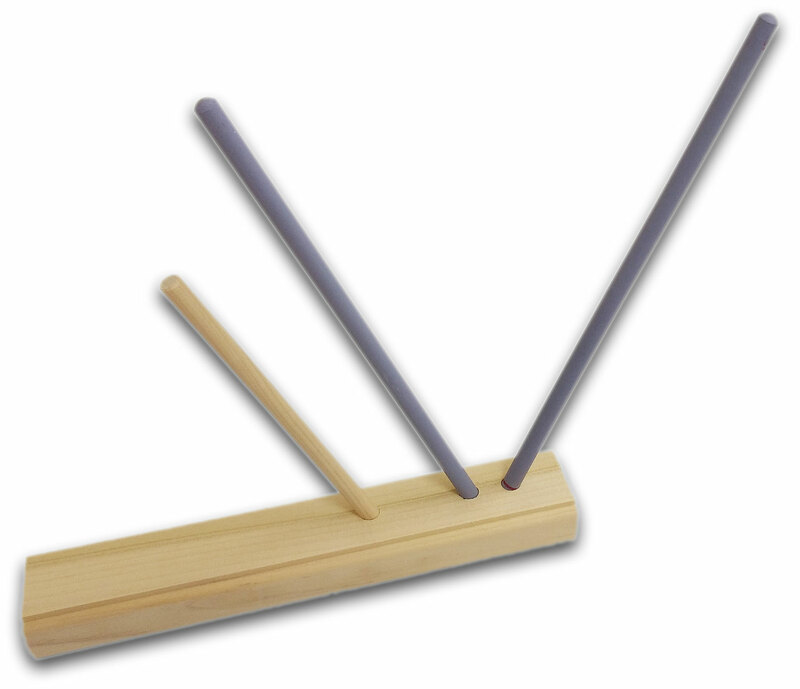 Includes two aluminum sharpening rods. Set them up and use the knife like you are slicing the rods with the blade perpendicular to the table. 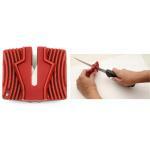 Work both sides of the entire length of the blade. This is a great way to keep your knives dressed and ready for use. Made the USA. 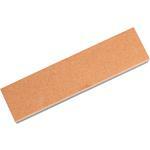 I use this product to sharpen my knives I use for sewing. I'll get right to it; these sharpening sticks are garbage. When laid so that both ends are touching a table, there is a 2mm gap near the middle of one stick and a 1mm gap on the other. When you look down the stick it looks like a mini recurve bow. It's hard to believe these got past quality control at the factory. As if that weren't bad enough, the finish is also terrible. I'm not making this stuff up. Whatever finishing process they use left bulges, smooth and rough spots, and ceramic build-up in the form of protrusions near the ends of the sticks. Anyone that knows how to sharpen knows that consistency is the name of the game. That is impossible with these sticks. I've had a set, identical to these, for nearly 17 years. They started showing signs of wear a few years ago and I've been looking for a replacement set ever since. I was surprised and relieved to have finally found this set. But when I opened them up I was very disappointed. I wasn't expecting top of the line equipment for $16, but come on. They're not even worth the money to ship back. I don't know if anybody from Knife Center reads these reviews but I wish inferior products like this were removed from the site. On the upside, I highly recommend DMT Dia-Sharp stones. They perform exactly as advertised and are a joy to use. Quality is top notch. Not so much for these sticks unfortunately. I have owned one for years and just bought my son one for christmas. This and excellent knife sharpener, for keeping a good edge. Takes a little bit of time to use too. 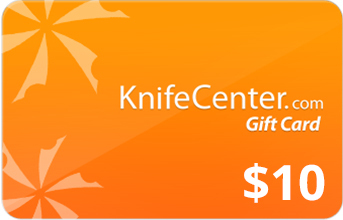 Hey, I wanted to share "Deluxe Ceramic Sharpening System" with you from KnifeCenter.